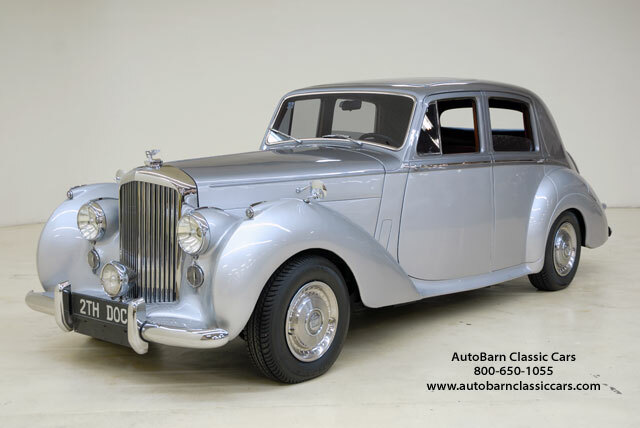 STK 1975 1954 Bentley R-Type �Pardon me, would you have any Grey Poupon? � But of course.� Most of us remember that 1980�s commercial, and that elegant Rolls Royce. Our 1954 Bentley R-Type is a member of that Rolls family because the W.O. Bentley Corporation was acquired by Rolls in 1931. After the merger, the two brands sold models that were very similar. The Bentley R-Type looks almost identical to a Rolls Royce Silver Dawn. It simply has a different grill package. 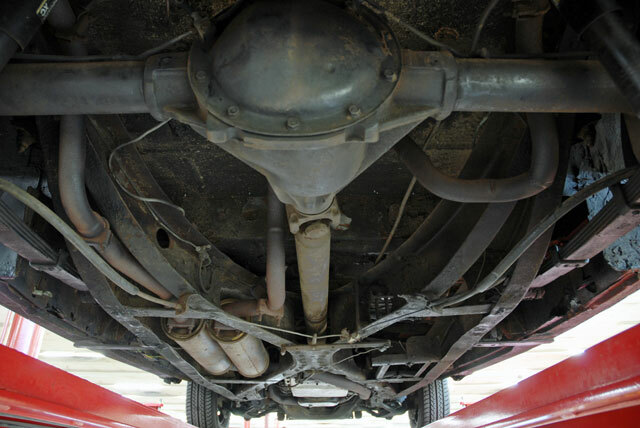 This classic Bentley has received a partial restoration with some well thought-out mechanical enhancements. In the mid 1990s the exterior was repainted a distinctive light grey and silver 2-tone. It is the perfect color combination for this elegant automobile. 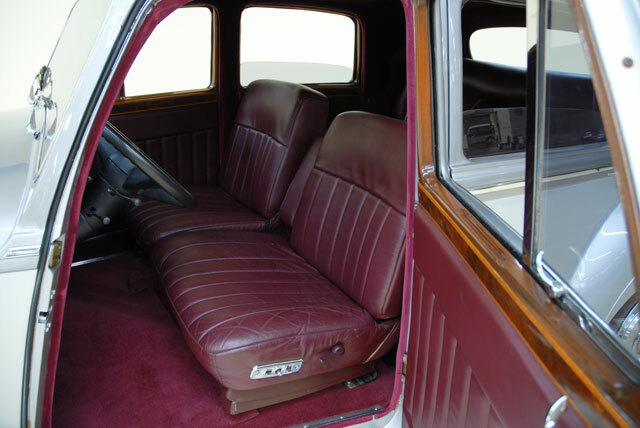 The spacious interior was reupholstered in handsome burgundy leather and is comfortable and inviting with a walnut dash and walnut trim accents. 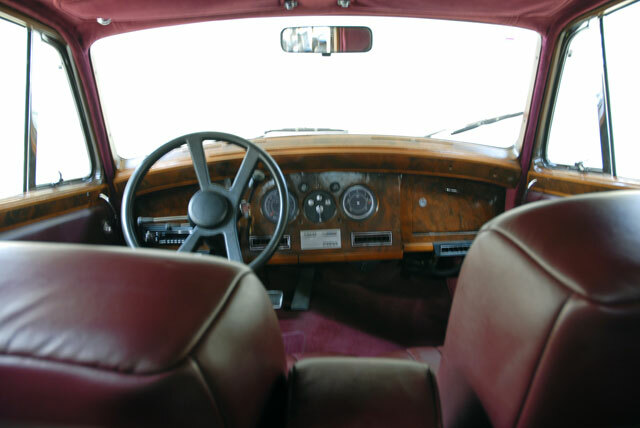 Convenience features include: A/C, tinted glass, power driver seat, tilt wheel and AM/FM/CD stereo. 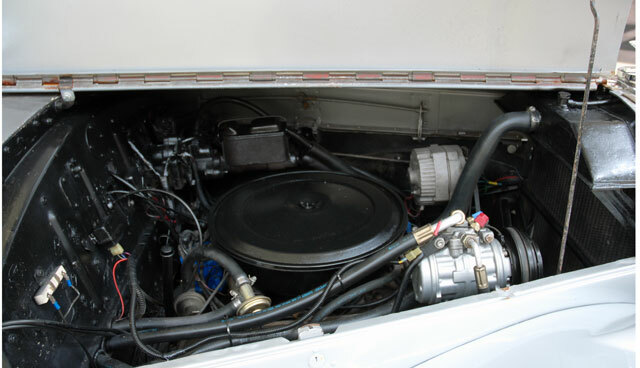 The Bentley is now powered by an Oldsmobile 350 cubic inch V8 and a 3-speed automatic transmission. A solid chassis is equipped with power steering, power disc/drum brakes and steel wheels with Rolls Royce wheel covers. This elegant Bentley R-Type is ready for a new owner who will appreciate a coach-built British classic. 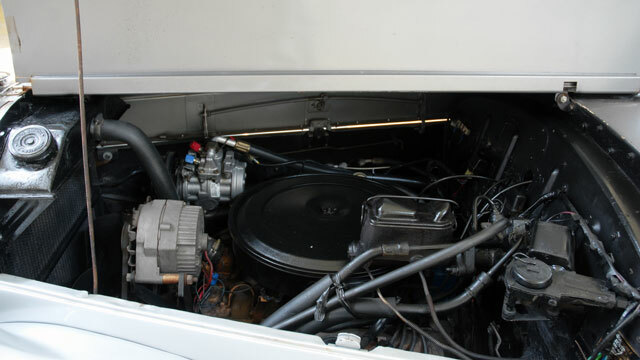 Call 800-650-1055 or visit www.autobarnclassiccars.com for additional information. ALL VEHICLES SOLD �AS IS�.